the development team has reworked FMod interaction within the game, optimizing memory and CPU usage and improving the entire sfx engine, resulting in a much better sound environment and immersion. In addition to the plethora of audio updates, other improvements extend to introducing the official Sparco licence with brand new driver suit and glove textures and a reworked texture assignment system, race ending, live Time Table leaderboard in the pits and other additions to the Lap Time board, splits and Anti-Wrecker protection in Multiplayer mode, updating all GT3 cars to tyre model 10, AI improvements and numerous other improvements across the entire game engine, including graphics as well as physics. 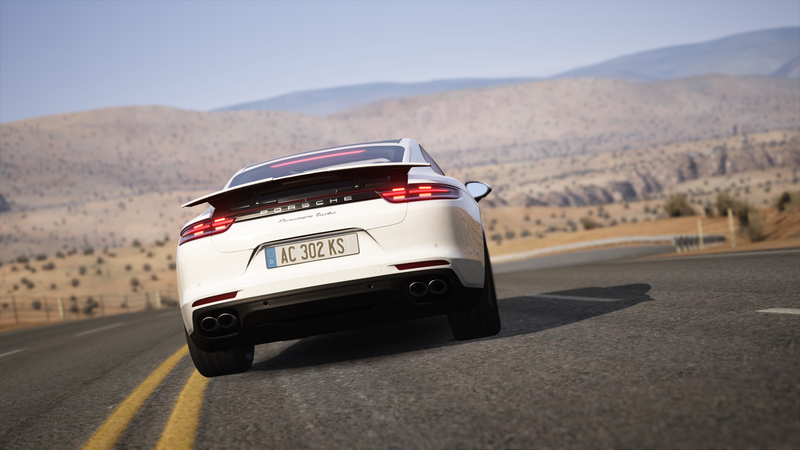 Assetto Corsa 1.9 welcomes the first of the three free bonus Porsche cars that will be released within 2016, introducing the Porsche Panamera Turbo, a car that with Porsche test and development driver Lars Kern at the wheel completed a lap around the 20.832-kilometre long Nürburgring Nordschleife in only seven minutes and 39 seconds. The new Porsche Panamera reconciles two contrasting characteristics more than ever before: the performance of a genuine sports car and the comfort of a luxury saloon. It is a Gran Turismo that has been rethought and realigned. The second generation of the Panamera is advancing to become a performance icon of the luxury class. We are also glad to announce that the historic version of the Silverstone circuit is finally available as free bonus content for all Assetto Corsa users, a remarkable addition that will please all fans of historic content already available in Assetto Corsa. The classic Silverstone is a circuit that perfectly matches some of the new legendary Porsche cars included in the Porsche Pack Vol.1. The 1967 version of the track was used between 1952 and 1974, with the overall layout kept largely unaltered for nearly 38 years. This piece of motorsport history hosted fierce competition between racing heroes such as Graham Hill, Jack Brabham, Jim Clark, Jackie Stewart and Jackie Ickx. – GT3 cars use tire model v10. Assetto Corsa | Nascar Series 2015 & Pikes Peak IR. Desde Assetto Garage, hoy os podemos traer la Nascar Series 2015 para Assetto Corsa junto al óvalo de Pikes Peak International Raceway! Que lo disfrutéis!